It’s not a stretch to say that the marathon is the most historic footrace in the world … and much of that history is almost too strange to be believed. At this summer’s London Olympics, the marathon returns to the scene of one of the most bizarre stories in the history of the race. Most folks know the ancient Greek origins of the marathon; very few, however, recognize how pivotal the 1908 London Olympic Games were in cementing the marathon as one of the preeminent athletic pinnacles and cultural touchstones of the 20th Century. The story is brilliantly told in Showdown at Shepherd’s Bush, a newly released book by David Davis which chronicles three remarkable runners whose paths converged on a fateful day in London. With another London Olympic marathon just around the corner, the timing of the book is just about perfect. Dorando Pietri was a determined and hard-nosed Italian who almost literally ran himself to death right in front of the Queen and 80,000 spectators. Johnny Hayes was a working-class Irish-American who rose from meager beginnings to achieve athletic immortality. Tom Longboat was an Onondaga Indian from Canada whose sheer athletic talent was rivaled only by the severity of the persecution that followed him to every corner of the globe. 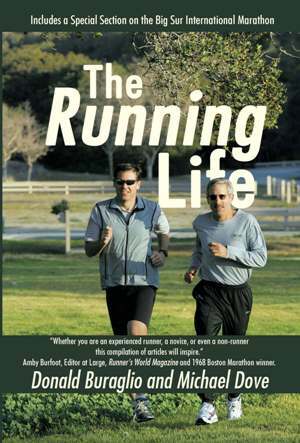 The book also delves into the history of distance running and the modern day marathon. Some facts will be familiar; it was at the London Games that the event distance was officially determined to be 26.2 miles. Others will be bizarre; before key events, competitors often had breakfasts of milk and beer, and during long footraces, a runner “in extremis” was often instructed to down a shot of whiskey. Perhaps it’s not surprising that of the 55 athletes who entered the 1908 race, less than 30 finished. One of the dropouts was Longboat, the world record holder considered one of the best athletes in the world, who collapsed in the middle of the race. The first runner to enter White City Stadium in Shepherd’s Bush was Pietri, who proceeded to run in the wrong direction and collapse several times while attempting to make his way around the track. Race officials assisted him to his feet and finally directed him toward the finish line. Pietri was initially declared the winner, but it was the American Hayes who history records as the 1908 Olympic marathon champion. Pietri was disqualified for receiving assistance, but his determination personified the spirit of the Games, and he became an international celebrity. Queen Alexandra awarded him a gold cup in recognition of his effort, and Sir Arthur Conan Doyle solicited the London Daily Mail to start a fundraising drive for Pietri to open a bakery in his home town of Carpi. All three runners went on to enjoy continued success in the sport, and are credited with triggering the first marathon boom among recreational athletes. Marathon runners aren’t international celebrities anymore, but our hope is that the 2012 Olympic marathons capture the world’s attention in the way the race did more than a century ago – hopefully not for any particular calamity, but as a celebration of the magnificent athletes who compete in one of the world’s most difficult events. Showdown at Shepherd’s Bush is available from Amazon.com as well as other retailers. The 2012 women’s Olympic marathon takes place on August 5th, and the men’s race concludes the Games on August 12. In the 1948 London Olympics, Czech runner Emil Zatopek won a Gold Medal in the 10000 meters and Bronze in the 5000. Four years later in the 1952 Helsinki Olympics, Zatopek completed the most amazing long distance running accomplishment in Olympic history; winning the 5000 meters, 10000 meters, and marathon, all in Olympic record times. Surprisingly, the 1952 Olympic Marathon was Zatopek’s first marathon and he decided to run just a few days before. His race strategy was classic Zatopek; at the starting line he went up to Jim Peters, the British champion and race favorite, and asked if Peters minded if he ran with him. Peters went out punishingly fast in the hope of tiring Zatopek. At the 10 mile mark, Zatopek asked Peters if the pace was good for him. Peters, again trying to fool Zatopek, said, “it’s too slow”. Zatopek sped up and went on to win the marathon while Peters dropped out. In the 1964 Olympics in Tokyo, Austrailian Ron Clarke was heavily favored in the 10000 meters and it was a dissapointment to only earn a bronze medal. In 1965, Clarke was the best runner in the world, setting world records 12 times at various distances. Clarke went to Czechoslavakia to run in a track meet in 1966 and met Zatopek, who was now retired from running and a high level official in the Communist Party. When Clarke departed, Zatopek gave him a small box and told Clarke not to open it until he was on the plane. In the 1968 Olympic 10000 meter finals in Mexico City, Clarke collapsed and nearly died from altitude sickness and sustained permanent heart damage from his effort. Clarke went into politics and just this year, at age 75, finished 8 years serving as Mayor of the Gold Coast region. Life wasn’t so good for Zatopek however. After the 1968 “Praque Spring”, involving government reform and Russian invasion, Zatopek was stripped of his Communist party rank and forced to work in a series of hard labor jobs for almost 20 years. One of our great local runners, Hansi Rigney, of Carmel, is the daughter of Giulio DePetra, who made the Italian Olympic team in race walking in 1936. DePetra was unable to compete in the 1936 games in Berlin because he was called up in the Army. He moved to Carmel Highlands in 1948. Hansi doesn’t know how her father became a friend of Zatopek, but in 1991 when Zatopek was finally allowed to leave Czechoslavakia, he came to Carmel and stayed with her father for a few days. DePetra invited a few local runners and race walkers, including Nellie Wright (who ran in the 1984 Olympic Marathon for Bolivia), and Kim Wilkinson. Emil Zatopek said, “Great is the victory, but the friendship of all is greater.” He died in 2000.